Thanks so much for the great time. 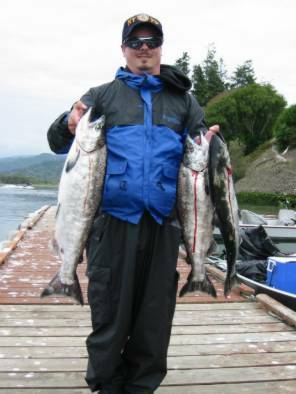 We are now addicted to salmon fishing and can’t wait to do it again (those darn 3 lb. large mouth bass out here just don’t cut it anymore!). We learned so much from you and really had a great time. Again, thanks for everything!